OK, not leaping blindly at all, but the headline worked for me. Today there’s a spot of colour in the kitchen – looking lovely with the morning sun picking up the red. After 11 years, there’s a new kitchen blind. However, that’s not just the reason for this post. It’s about saving money and getting ready for the winter. Their job is to help people find ways to save energy – and thus cut their energy bills. Cutting bills is a tempting area for all of us, I’d hazard. However, the saving energy thing is much more tricky. 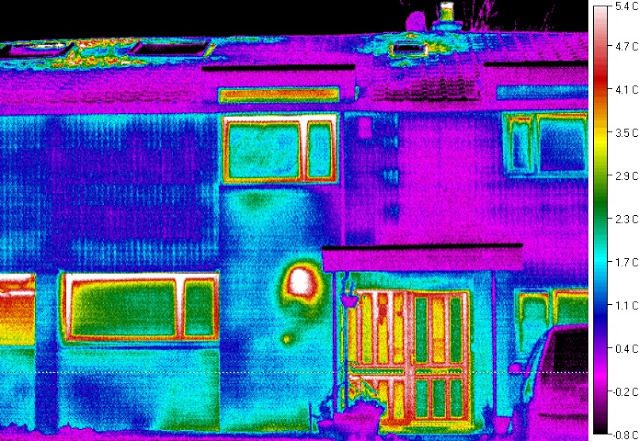 For example, if you put extra insulation in – costing money and time – have you rendered it pointless by leaving the front door open for an hour, or a light on unnecessarily? 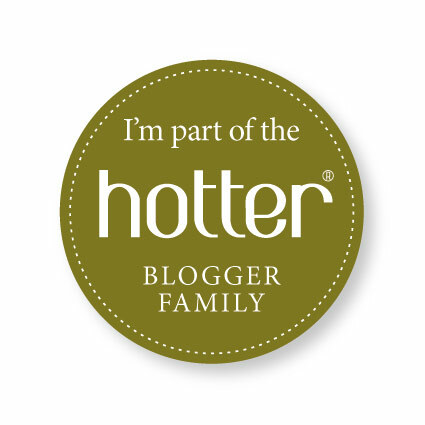 Basically, what is worth the bother and what isn’t? LEAP came and did a survey of the house and identified some key areas where I could make a difference. One of these was to put a blind up in the big kitchen window. This is the window on the left that shows up green. That means that on the night this image was recorded, quite a lot of heat was escaping through the glass. There was a blind in the window that I’ll installed when we moved in more than 10 years ago, but it was very brittle and, consequently, didn’t get closed. Then when the Panther repainted the kitchen at Easter, it broke. So when someone from Web Blinds got in touch to see if I’d like to review their service,it was too good an opportunity to turn down. After much dithering I chose a jolly spotty affair and then instantly started to worry it would be too loud. However, LEAP sent round Marcelo Dominguez from Casa Homes and Gardens to help me put the blind up – and to effect all the energy saving measures they recommended. When I say ‘help’, I stood by and watched while he did it all. Web Blinds has a comprehensive guide to fitting rollerblinds. Marcelo is based in Lochwinnoch and comes highly recommended – you can contact him on 01505 842439 or 07739827647. I’m thrilled with the result. I love how the blind looks and I think it’ll be a big incentive to actually use the thing properly in the winter. It’ll make the room look really cosy – and actually be cosy which is the big thing. We’re going to monitor my energy use – and the cost – to see if the blind and the other measures make any difference through the year. LEAP’s experts believe I can reduce the amount of energy for heating by 15 per cent. Of course, one of the biggest challenges to energy saving is tackling behaviour. All the cosy blinds and curtains in the world won’t make any difference if you don’t close them. The Energy Saving Trust lists simple steps you can take today. 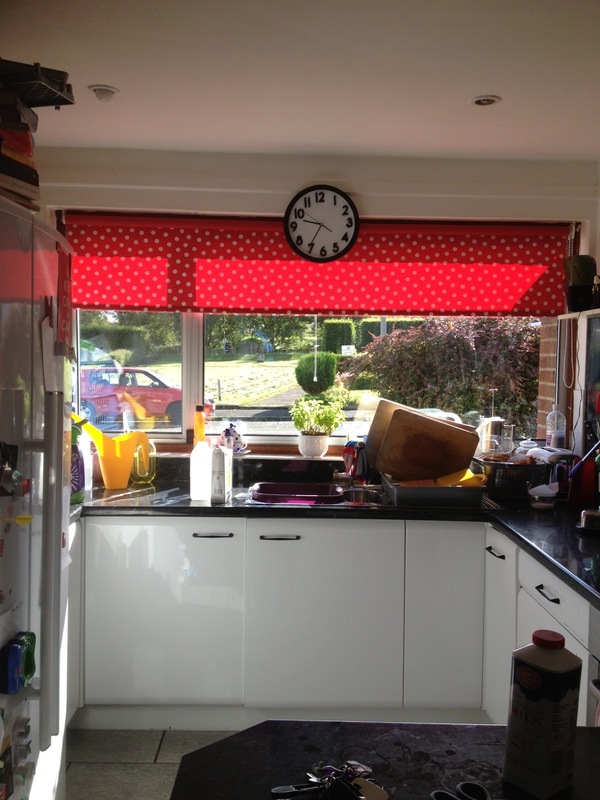 Disclosure: I was sent the gorgeous spotty blind to review and LEAP has provided me with advice and Marcelo’s services to help cut my energy bills.